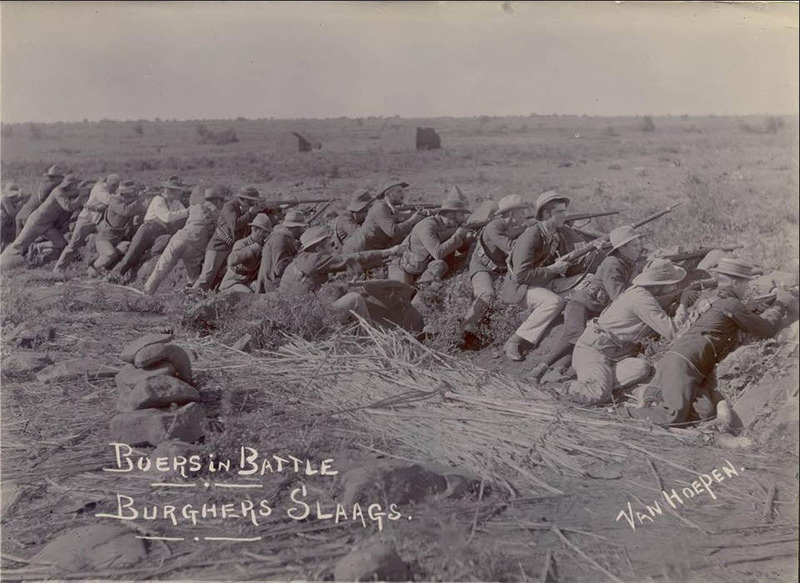 Boers on a firing line. 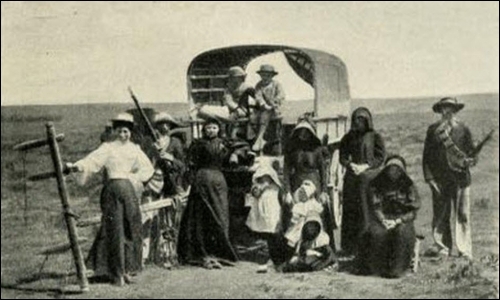 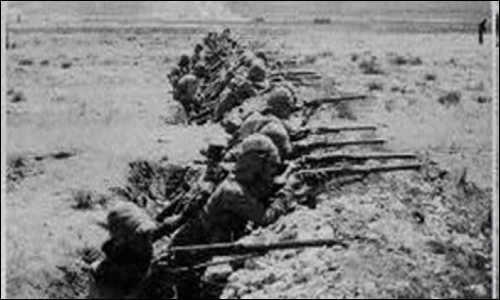 Although the Boers were ahead of their time for making use of the terrain to provide their troops with cover, as opposed to the British who, at the start of the war, used suicidally outdated tactics more suited to the Crimean war or even the Napoleonic wars, it is interesting to see that the troops are bunched up together, and so vulnerable to artillery fire (fortunately not that common in most small engagements). 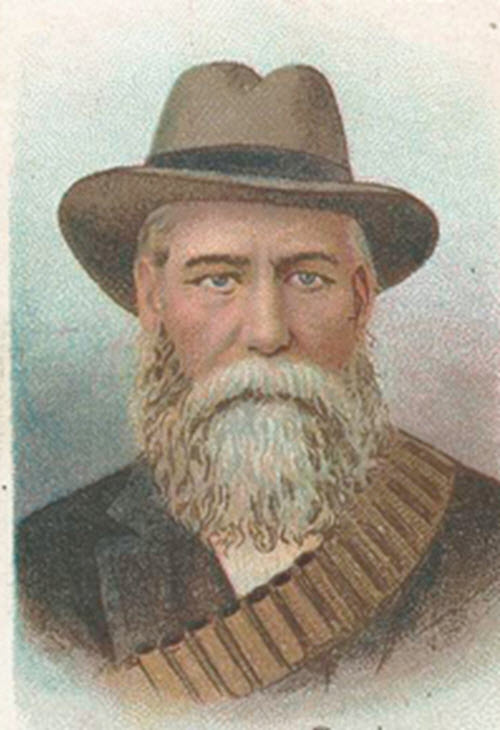 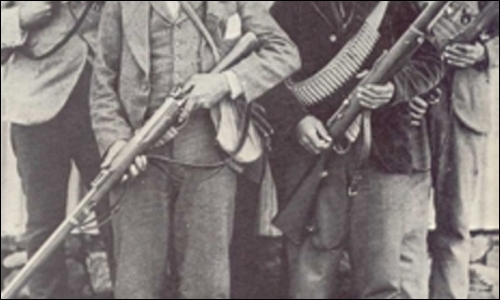 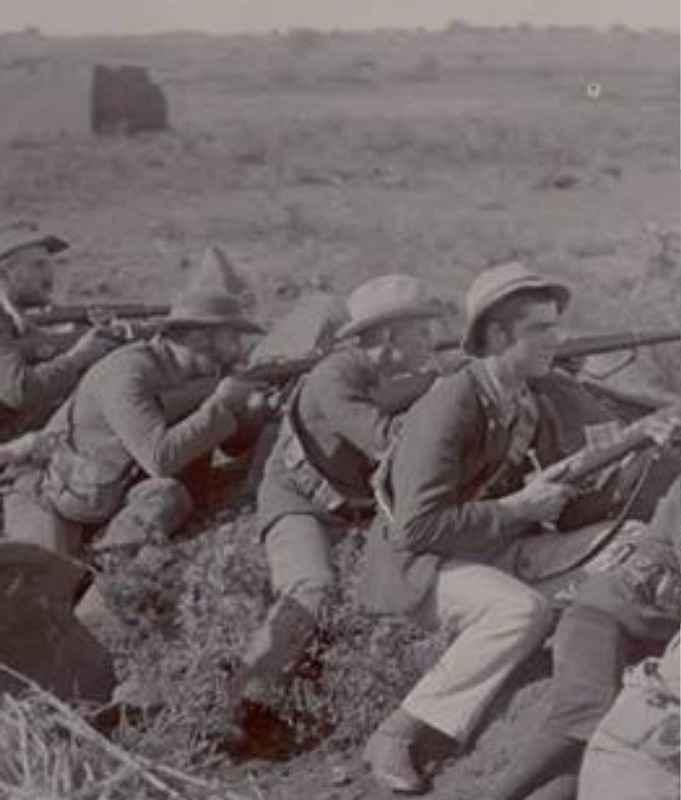 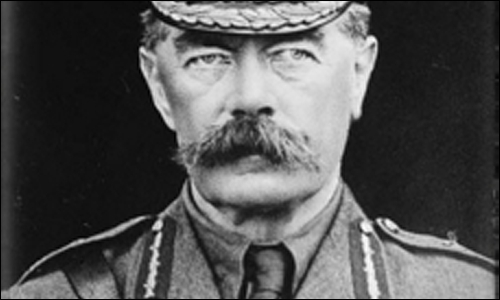 A closeup (below) shows that some of the Boers are uncharacteristically clean shaven, which may be an indication that these troops were quite young.